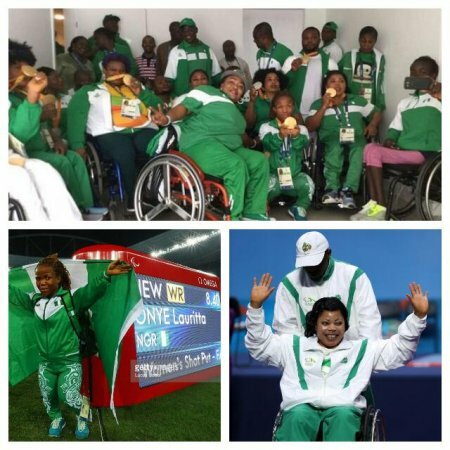 Nigeria’s Paralympics athletes have returned to the country. 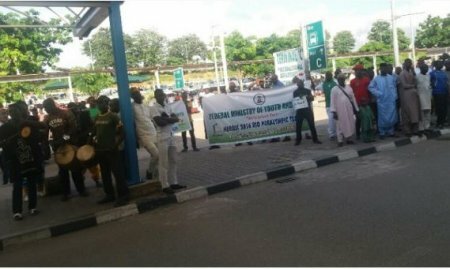 The team, which won a Nigerian-record 8 gold medals at the Rio Paralympic games, arrived the Nnamdi Azikiwe International Airport, Abuja, on Sunday evening to the scores of well-wishers who sang and danced to welcome them. Officials from the Ministry of Sports were also at the airport to welcome the team. Apart from the eight gold medals, the team also won two silver medals and two bronze medals setting six new World Records in the process.